Knockando Woolmill is located in a remote part of the Scottish Highlands. It has been active and producing textiles with its original machinery since 1784 and is a living monument to an important Scottish tradition. The restoration project is notable not only for its high quality and attention to detail but also for its success in promoting rural revival in this distinctive region. “The Knockando Woolmill is special due to its continuous, unbroken production of textiles over the last 200 years. This is exceptional in Europe and the survival of this type of local production is rare”, the jury said. “Though it is a decidedly local endeavour and is linked very much to its regional identity, the Woolmill’s production of high-quality textiles to a growing global market makes it an internationally significant endeavour. Its very survival in today’s globalised world is deserving of European, if not international, recognition”, the jury added. 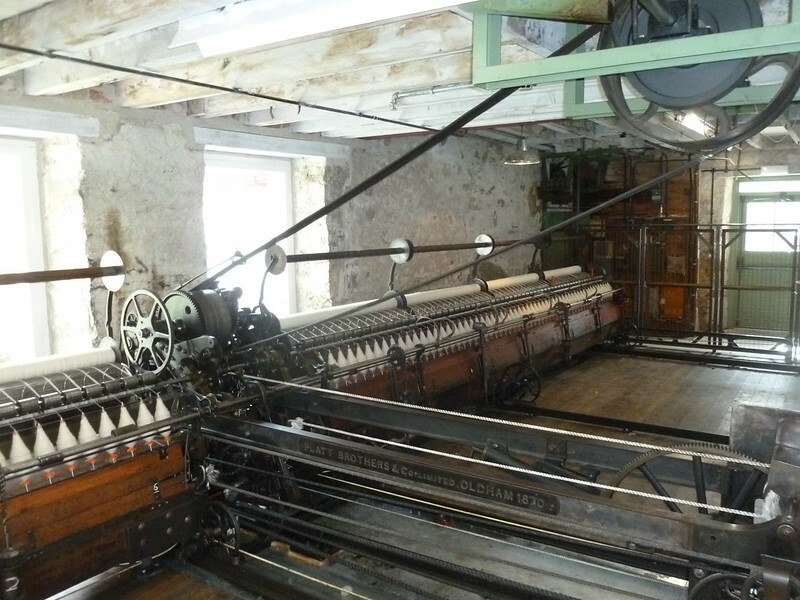 The Woolmill’s production is active across a complex of its original buildings which houses the machinery used for each part of the textile production. In 2000, the condition of both the buildings and the machinery was critical and a major programme of repair and renewal became an absolute priority. To this end, the Knockando Woolmill Trust was established to raise funds and work towards the recuperation of the site. As the buildings were generally in an extremely fragile state, extensive research was required and complex strategies for their repair were devised to allow the original vernacular architecture to remain intact while meeting the present-day standards of health and safety. One of the principal priorities was to provide a Craft Training Workshop to train young people in traditional crafts which may otherwise have been lost. For this purpose, a new structure was built adjacent to and in harmony with the other buildings. The byre, which formerly housed farm animals, was converted to a visitor centre, which has attracted a wider public and has helped to increase understanding of this special heritage. The jury appreciated this aspect of the project commenting that “the community involvement, the generation of new employment opportunities and the attraction of visitors to this relatively remote region is a wonderful example of rural revitalisation and of what can be done in comparable locations throughout Europe”.